There are some houses that capture the imagination and will not let go: especially an ancient house, one that has expanded organically with each generation without much concern for architectural rules or symmetries, one also not beset with excessive levels of restoration; a serene house set among barns and roaming chickens, with dogs sleeping in the sun, a smell of apples in the air, and mud-covered Wellington boots in the doorway. 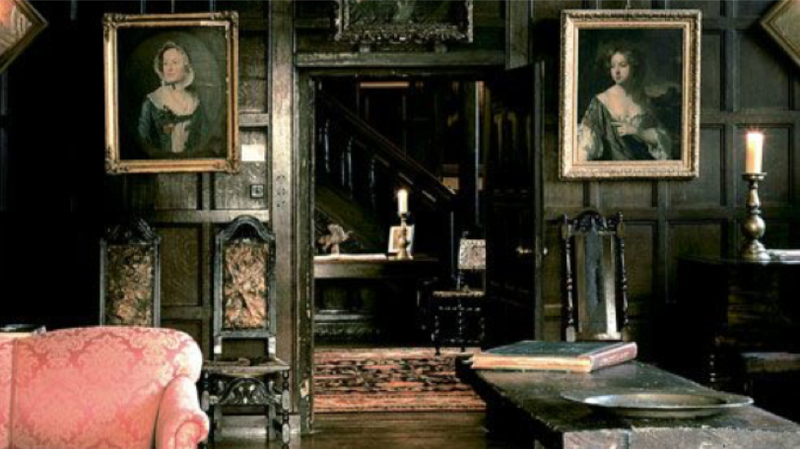 Such a house is Hellens, Much Marcle, in Herefordshire, which has worked its magic on Inscape members before, and now elaborates its generosity by hosting intimate music festivals. Run by the internationally- renowned pianist Christian Blackshaw, the Hellens concerts, for 40 guests only, present truly delightful music. Ranging from Schubert to Mendelssohn to Shostakovich, they are performed by professional musicians from the Philharmonia Orchestra, Leipzig Gewandhaus, and Berlin Philharmonic. They are intimate concerts in the way their composers intended them to be. To preserve the atmosphere of organic antiquity surrounding our evenings at Hellens, we stay in a choice of 16c hotels in Ledbury, a medieval market town; the Feathers Hotel or The Talbot have both welcomed guests for over 400 years. We explore the town’s 16c painted rooms and foliate church windows. We address some of the most remarkable medieval architecture in the country: the churches of Kilpeck and Abbey Dore. At Kilpeck, the Romanesque architecture itself is impressive, but what really takes the breath away are the dark pink sandstone carvings; masks spew foliage and serpents grin from corbels, beaks bite on mouldings, people embrace or do acrobatics, dragons bite their tails; they have all been engaged in these activities since the 1140s. At Abbey Dore the delights are later and grander, filled with the dignity of the Cistercian Order in an explosion of soaring Early Gothic. From the stone-flagged floor rise arches supporting an array of superbly imagined late Norman and Early Gothic capitals. With these two churches we are transported into the early medieval life of the Welsh Borders invigorated by new influences from Cistercian France. The Hellens Music Festival is held over only three days each year. Do join us for an experience that will linger in the memory long after the last note has died away. THE FEATHERS HOTEL £1255 Members, £1305 non-Members, £140 single room supplement, £250 deposit, includes three nights accommodation with breakfasts, one lunch with wine, one dinner with wine, two pre-concert suppers with wine, all tuition and lectures, entry fees, private tours and concerts, all travel during the tour, all gratuities, VAT. This cost excludes travel to and from Ledbury. THE TALBOT £1105 Members, £1155 non-Members, £80 single room supplement, £250 deposit, includes three nights accommodation with breakfasts, one lunch with wine, one dinner with wine, two pre-concert suppers with wine, all tuition and lectures, entry fees, private tours and concerts, all travel during the tour, all gratuities, VAT. This cost excludes travel to and from Ledbury.